Under the co-branded partnership model AMResorts will be responsible for brand management, sales and marketing of the three resorts, which represent a total of 1,329 guest rooms, while HOTEL will maintain operational control. The goal of the alliance is to increase international sales for the resorts utilizing ALG’s robust distribution channels. ALG is the top seller of vacation packages to Mexico and the Caribbean from the U.S., representing close to 3.4 million passengers annually. AMResorts is a recognized leader in the luxury all-inclusive sector, possessing a global sales, marketing and brand management platform, and a portfolio of nearly 20,000 rooms under several award-winning brands in Mexico, the Caribbean and Central America. ALG is the top seller of all-inclusive vacation packages in North America, with a vertically integrated business model that serves travelers and destinations worldwide. Grupo Hotelero Santa Fe is a Mexican company with more than 28 years of experience and success in the country’s hotel industry. The Group has acquired and developed more than 10,000 rooms throughout Mexico and Latin America. 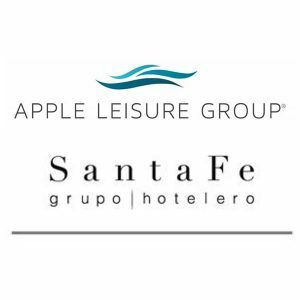 Grupo Hotelero Santa Fe added that “the signing of this agreement provides us with access to ALG’s direct, diverse and profitable distribution channels. Combined with our proven track record as one of the top hotel operators in Mexico, this alliance will optimize our return on these properties as well as lay the groundwork for the potential to grow our joint resort portfolio.” To date, HOTEL has 6,925 rooms across 25 hotels open and under development throughout 15 destinations in Mexico. Reflect Resorts & Spas is a family-friendly luxury resort brand offering AMResorts’ signature vacation concept, Unlimited-Luxury®, where everything is included: reservation-free dining at gourmet restaurants, 24-hour room and concierge services, an unlimited premium beverage program, comprehensive day and nighttime activities for the entire family, included taxes and gratuities, and more – all without wristbands. 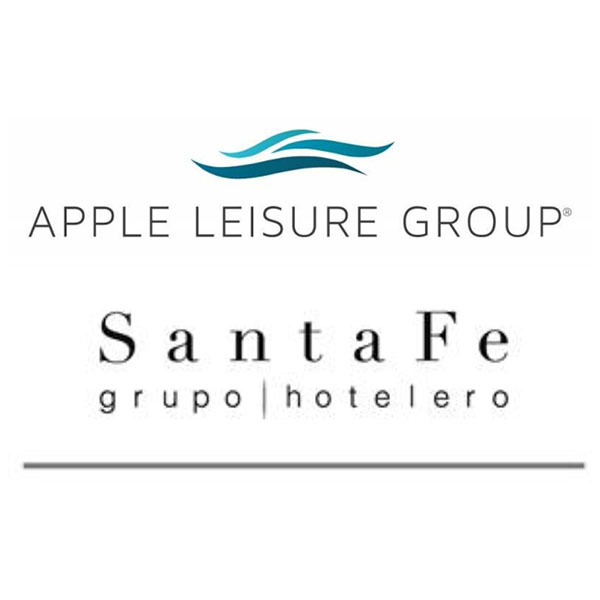 Apple Leisure Group® (ALG) is the leading North American travel, hospitality and leisure management group with the only vertically-integrated business model, serving travelers and destinations worldwide. ALG consistently delivers exceptional value to travelers and strong performance to resort owners and partners by strategically leveraging the power of its portfolio of businesses across five segments, comprising: the largest seller of vacation packages in the U.S. for travel to Mexico and the Caribbean, moving approximately 3.4 million passengers annually through the well-established vacation brands Apple Vacations ®, Mark International®, Travel Impressions®, CheapCaribbean.com®,, Blue Sky Tours®, Southwest Vacations, Funjet Vacations®, and United Vacations; brand management of 5-star and 4-star luxury resorts through AMResorts® award-winning brand portfolio including Zoëtry® Wellness & Spas Resorts, Secrets® Resorts & Spas, Breathless Resorts & Spas®, Dreams® Resorts & Spas, Now Resorts & Spas®, and Sunscape® Resorts & Spas; best-in-class destination management services provided by Amstar DMC and Worldstar®, the exclusive travel club Unlimited Vacation Club®; and the innovative technology solutions provider Trisept Solutions®, connecting over 88,000 travel agents with leading travel suppliers. To learn more about the Apple Leisure Group advantage, visit appleleisuregroup.com. AMResorts collectively provide sales, marketing and brand management services to six individually unique resort brands including Zoëtry Wellness & Spa Resorts, Secrets, Breathless, Dreams, Now and Sunscape Resorts & Spas. The Newtown Square-based company is continuously raising the all-inclusive concept to a new level of luxury with its signature Endless Privileges®, Unlimited-Luxury® and Unlimited-Fun®programs. Located throughout Mexico, Jamaica, Curacao, Dominican Republic, Costa Rica, and Panama, AMResorts’ more than 52 award-winning properties treat every guest to premium accommodations, desirable locations and extraordinary inclusions. The brands in the collection include: boutique Zoëtry® Wellness & Spa Resorts (zoetryresorts.com; 1-888-4-ZOËTRY); adults-only Secrets® Resorts & Spas (secretsresorts.com; 1-866-GO SECRETS); high-energy Breathless® Resorts & Spas (breathlessresorts.com; 1-855-65-BREATHE); family-friendly Dreams® Resorts & Spas (www.dreamsresorts.com; 1-866-2-DREAMS); vibrant Now® Resorts & Spas (nowresorts.com; 1-877-NOW-9953) and fun-filled Sunscape® Resorts & Spas (sunscaperesorts.com; 1-866-SUNSCAPE). Images, logos and informational material about the AMResorts Collection of brands and properties are available at amresorts.com/mediasite/media.